One evening out with a friend, we were walking along the harbour and then found ourselves wandering through the streets of Toronto. Closer by my area, we actually stumbled upon Soco Kitchen and Bar which looked quite extravagant and seemed to be decently crowded. Spontaneously we decided to have dinner there. 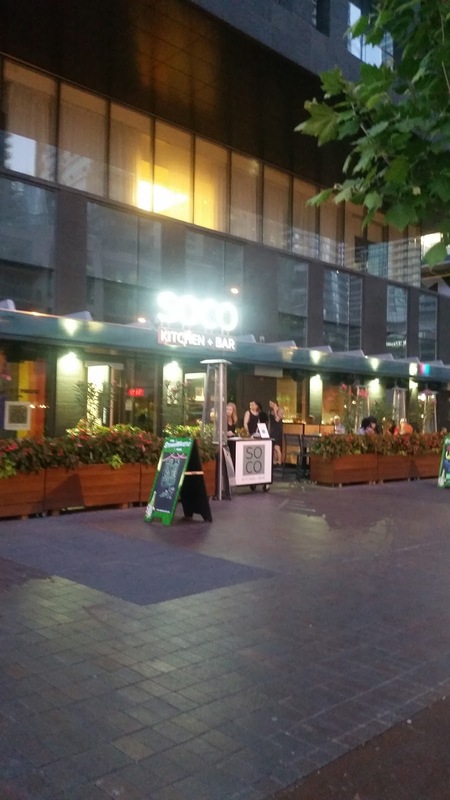 We were greeted by the staff and taken swiftly to our seats out on the patio, and for a nice summer night it was the perfect setting to enjoy the view of the Roger Centre, or the ACC (depending on what side of the table we sat on!). 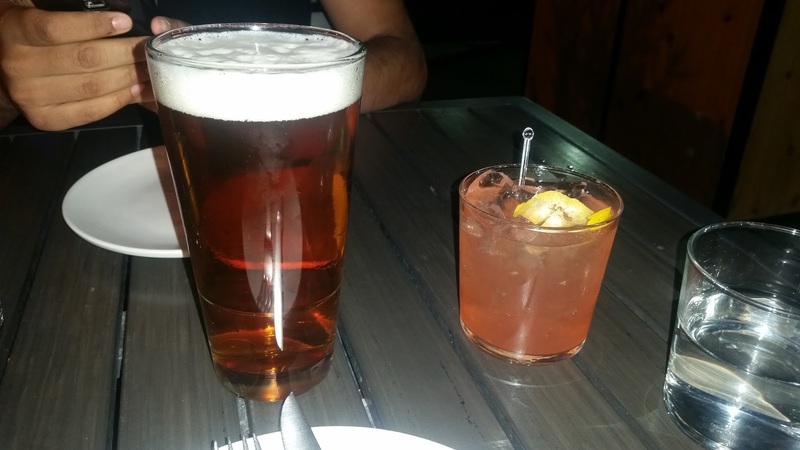 The two of us started with some drinks – my friend ended up ordering a beer for himself, while I had a nice cocktail of Raspberry Twist (I believe it was called) on the recommendation of the waiter that night. It was definitely very refreshing for a night out in July! Shortly after getting our drinks, our main courses came out, fresh from the soco kitchen! On the top portion of the photo we have my friend’s selection – he ordered the Orrechiette Pasta which had smoked bacon, green peas, wild mushrooms, and truffle pecorino. 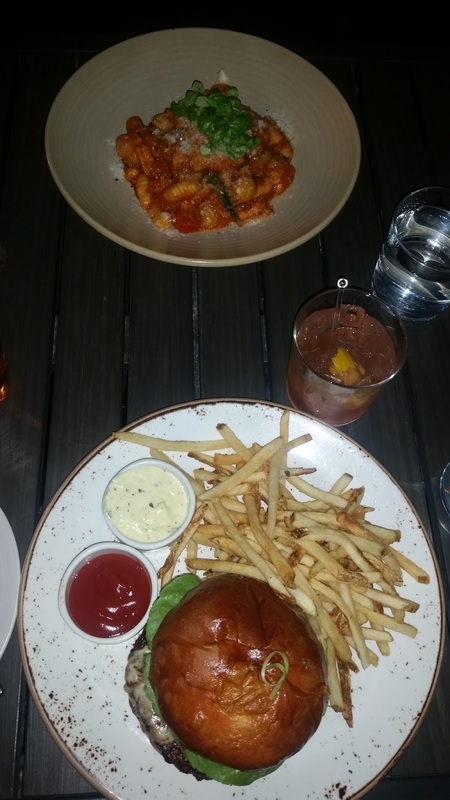 On my side of the table I ordered a classic Beef Burger which consists of a ground prime chuck, smoked cheddar, bacon, red pepper jam, pickled onions, whisky BBQ sauce with a house brioche bun and a side of fries. 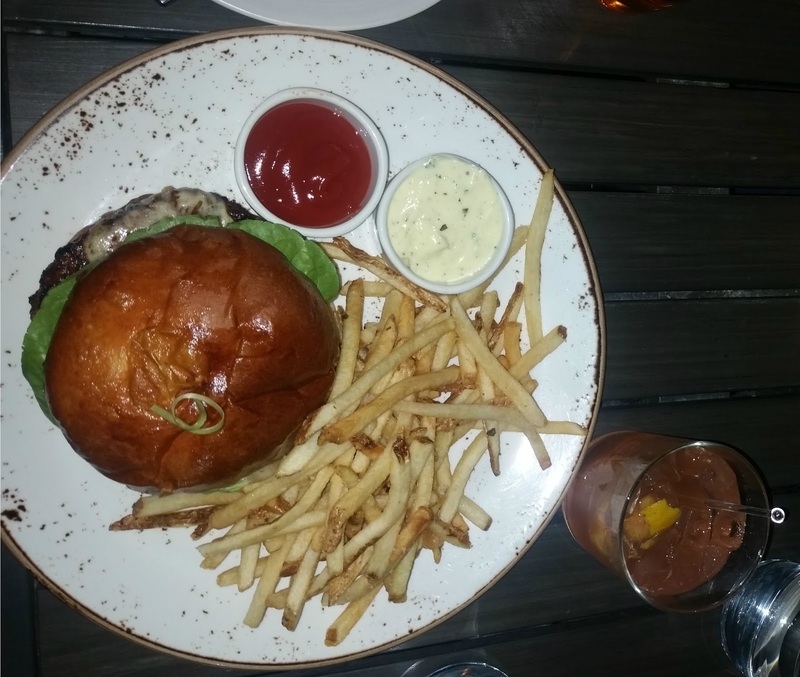 My dish was honestly one of the best gourmet burgers I have ever had – and well worth the $19. 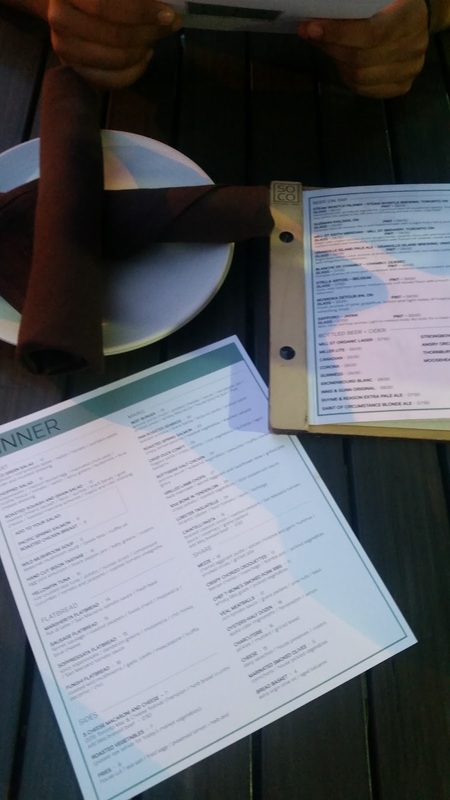 The dining experience at Soco was also stellar, and promises a nice evening out with whomever you are spending it with. It is perfect for small get togethers and its location is definitely extraordinary as well!